We present extended term rewriting systems as a means to describe a simplification relation for an equational specification with a built-in domain of external objects. Even if the extended term rewriting system is canonical, the combined relation including built-in computations of ‘ground terms’ needs neither be terminating nor confluent. We investigate restrictions on the extended term rewriting systems and the built-in domains under which these properties hold. A very important property of extended term rewriting systems is decomposition freedom. Among others decomposition free extended term rewriting systems allow for efficient simplifications. 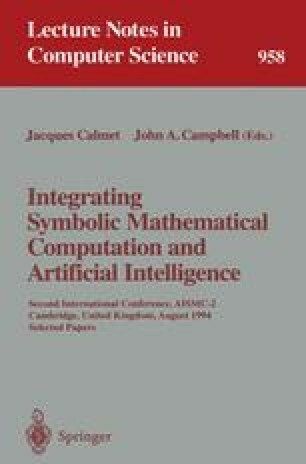 Some interesting algebraic applications of canonical simplification relations are presented.